When you try to send email it stay in the outbox and no new emails coming. Google apps bars are pending forever. 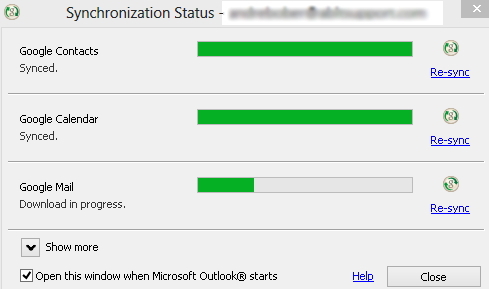 Noticed on WinXp SP3 with all updates, Outlook 2003 with all updates. Not fully sure but what I noticed was when I close outlook in task manager there is still Outlook and/or Winword process active. 4. Reopen Outlook from your desktop. Still looking for permanent solution fo Google apps sync takes forever and hangs ond send/receive process.